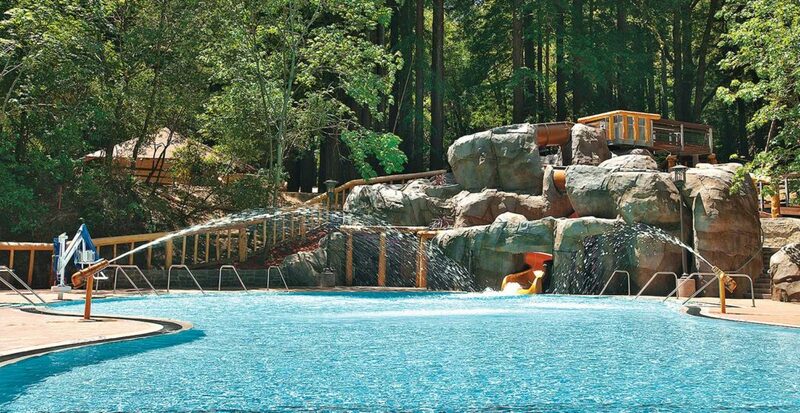 Camp Campbell’s ‘49er Gold Rush theme is car­ried out in this nat­u­ral­is­tic pool designed for pure fun. 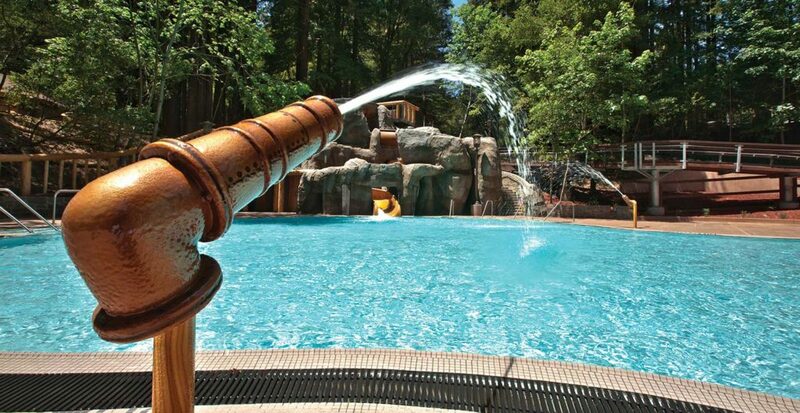 Water splash­es down from an old-fash­ioned rail­road water tow­er… a hydraulic water can­non shoots a spray across the pool… gold tiles shim­mer at the pool’s bot­tom. 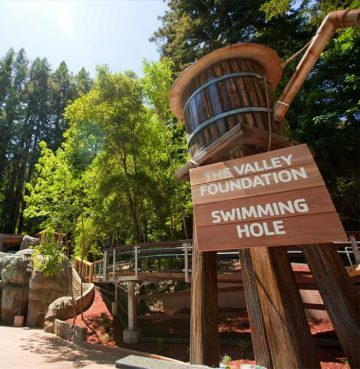 Kids can slide down the gold “sluice” or prac­tice log rolling on a burl­ing log. Arti­fi­cial boul­ders and a mechan­i­cal room dis­guised as a mine shaft entrance com­pletes the rus­tic theme.